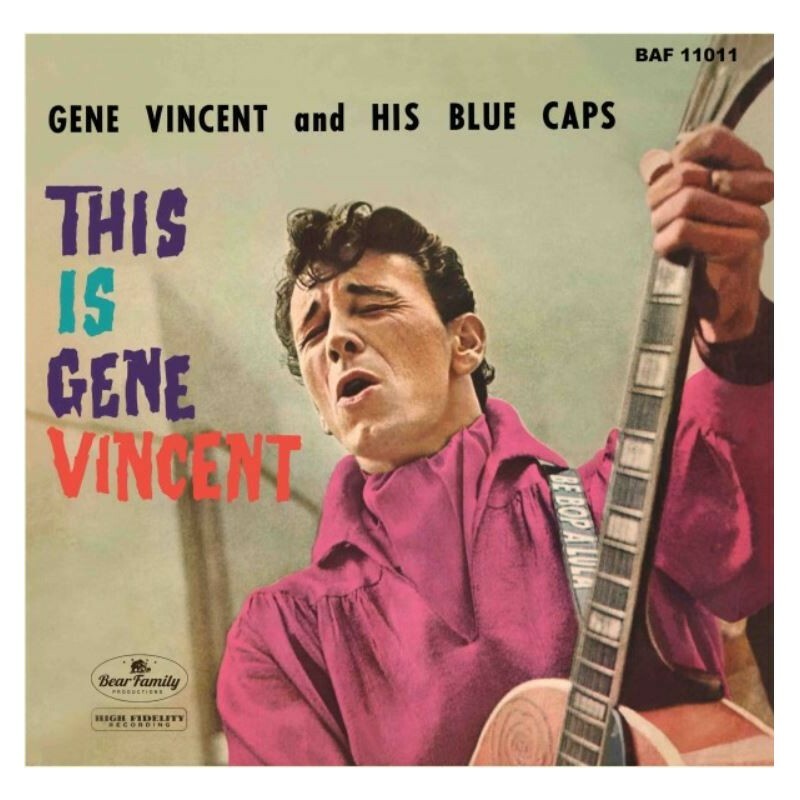 This Is Gene Vincent - Sleazy Records, S.L. • Painstakingly remastered for highest fidelity and pressed on high quality vinyl! Gene Vincent was big amongst the die-hard Rock ’n’ Roll fans from the ’50s onwards, the perfect blueprint of a ’Rocker'. His outfit, often made of black leather, was copied by many. Even the Beatles might have taken another direction without their early admiration for Gene. If you watch vintage movie clips featuring Gene Vincent & The Blue Caps, you will recognize their particularity: excellent musicians, craftmanship paired with a good nose to attract attention, and a barnstorming performance on stage. Japan’s Capitol Records of Tokyo followed ist own policy of exploiting US-American music productions, doing it strictly their way. Sometimes they recycled the front cover artwork of well-known LP albums by pressing completely different tracks on the wax, often to the surprise of the avid Euopean collector. 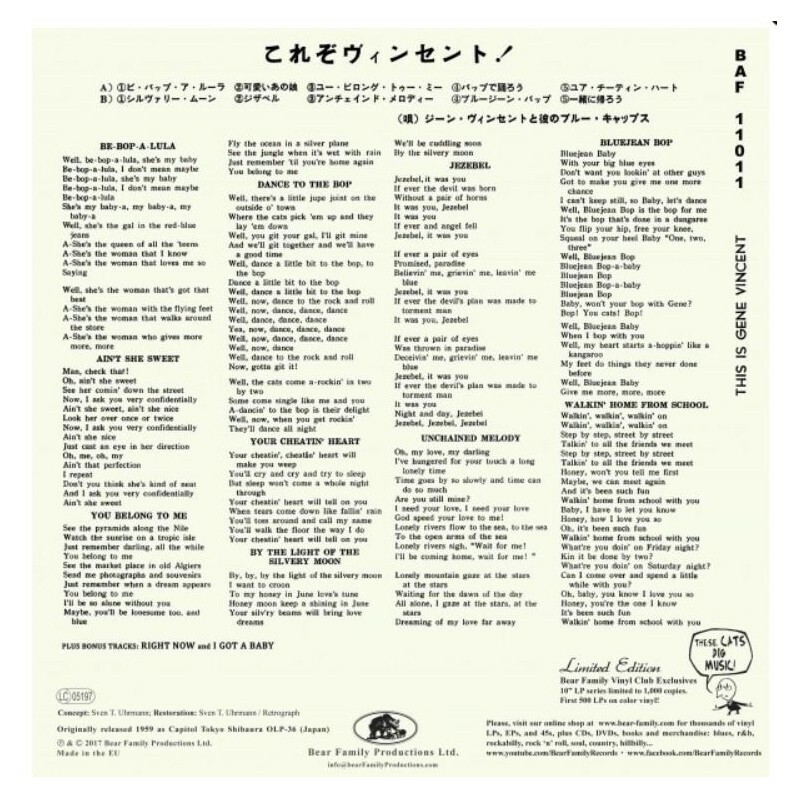 In the case of this Japanese 10“ LP, the front cover image was taken from the 'Gene Vincent Rocks' 12“ LP, with colors strongly boosted and with different tracks selected for this compilation. That’s how Capitol Japan created a fairly new product for the local market back in 1959. As a special treat, we have added I Got A Baby and Right Now, two rockers that fit in well, originally issued on 45s, only. 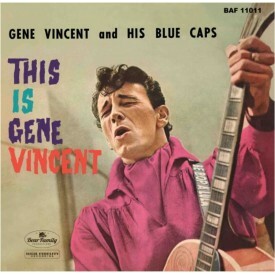 This is Gene Vincent the early Asian way, hypnotic colors on the front sleeve accompanied by hypnotic vinyl colors - Yeah!